 Dealing with Errors in Radiology - ONRAD, Inc.
DiagnosticImaging | It is something we all dread: a phone call from a colleague to tell us there was something they found that we did not. It makes your heart race. Most of the time, the clinicians or partners are kind — but not always. Even when they are, mistakes can make you feel embarrassed or cause you to question your skills. Radiologists are exposed to this in a way that few other physicians are. What we do for the most part is readily available for anyone to see, and is often seen by many other specialists. That is not the case for other hospital-based specialties (few surgeons or internists get a chance to look at pathology specimens and no one can see what the anesthesiologist is doing). It is also not true for other specialists. No one can retrospectively tell you what was seen at surgery or heard by stethoscope. Opinions offered by most other specialists are taken at face value as they cannot be objectively reproduced. So we encounter this difficulty more frequently than virtually anyone else in medicine. Moreover, mistakes are unavoidable, despite our best efforts. As a mentor of mine used to say, radiology is the most humbling of all specialties. The question is not will you make an error or oversight. You will. And it isn’t whether others point it out. They will. What you do from there is what is critical. Although we encounter this more often than other specialties, this kind of issue is common in many businesses. Data from the business world shows what works best, and what the best way is to keep your customer. First, most customers want you to own your problems. Specifically, they want you to be honest if you make an error, and not either ignore it or argue it. Be polite and listen to the complaint. Review the concern. Call back the clinician or patient or seek them out and verify the error if it is real. Be agreeable and try not to argue. Thank them for recognizing the problem. Ensure them it is a rare event, but one you take seriously. You don’t have to be over the top with apology, just be honest and give them the corrected information. Next, customers like to be aware of how you will avoid it in the future. So when you find the error, think about how it can be avoided and make a plan. When you call, have the plan of action and talk with your referring physician or patient. Customers usually will only blame you when you don’t offer a solution or when you resist the criticism. Third, put your plan in action. One of the worst things would be to have the same problem recur. Sometimes that happens, but if you apply the lessons learned and use your plan to fix them it should work. Last, document what you’ve done to remedy. The finished product report should be correct in the end. So if it needs and addendum, add that. In the end, in radiology you can’t expect to never make an error, and your errors are likely to be found. You can expect, and your customers expect, that you will accept your errors and go about fixing them.